A wall mural painted by street art artist Alexface from Thailand. 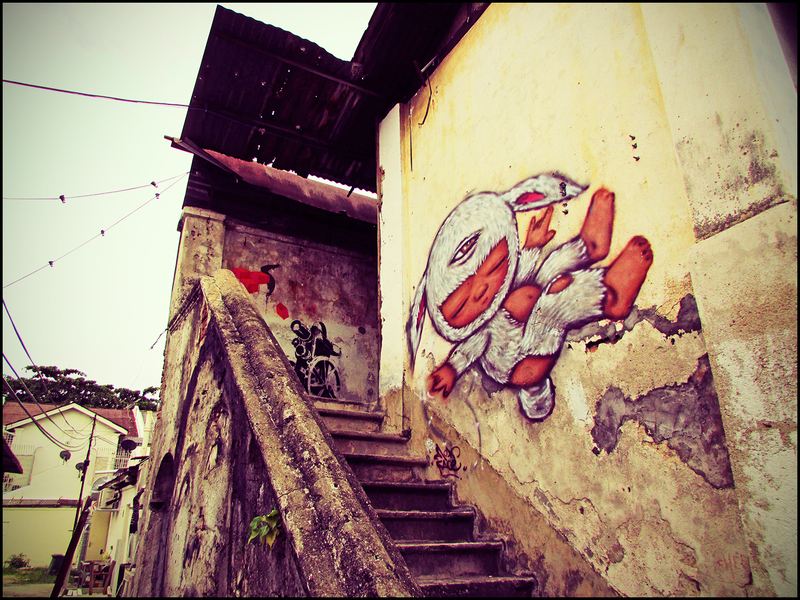 This art work can be found at the side staircase of Nagore Mews in Nagore Square, George Town. 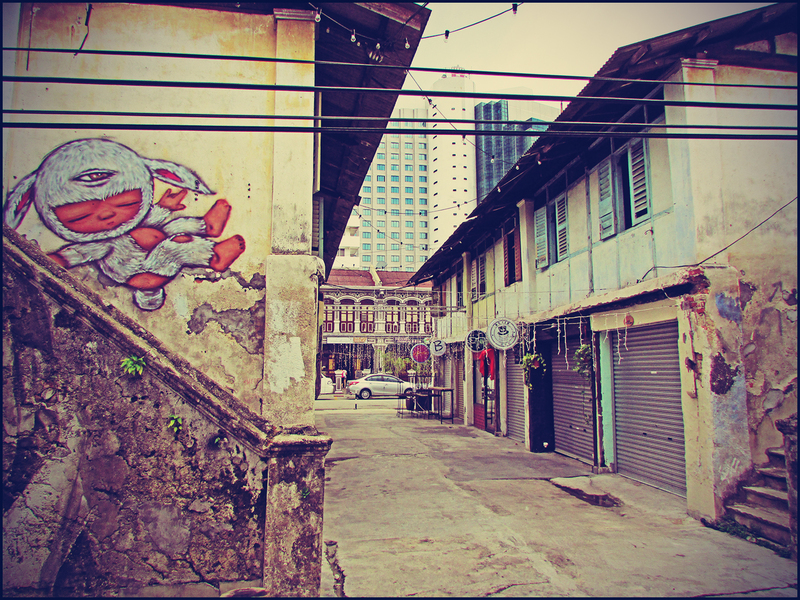 For this street art location, please go HERE.